As I sit down to write my very first “President’s Message” as the new President of Rescue a Golden of Arizona (RAGofAZ), I can’t help but feel a little nostalgic looking back at the past 10 years as a volunteer for the rescue and what led me to this position today. I grew up outside Chicago in a family that was always rescuing animals. Whether it was the local duck that lost his leg in an accident by the park pond, a baby squirrel that fell out of our tree, or an abandoned dog that somehow found its way to our yard, my brothers and I were taught early on about the value of all animals and the importance of helping them when they can’t help themselves. I can remember a time when I came home from school to find a laundry basket of puppies left on our doorstep. It was widely known throughout the community that we were the “dog people” and I believe people purposely left their unwanted pets in our yard knowing we’d take them in, get them healthy and either find a loving home or keep them! Looking back, maybe we kept too many as I can remember having 13 dogs at one time! Good thing our house was very large! But we were happy to do it, we built so many great memories with those animals and hopefully inspired others to see rescuing as their first option when looking for a new pet. It was these experiences that drew me to volunteering with RAGofAZ after I’d completed my home visit as a prospective adopter back in 2008. The volunteer who came to my house, Sue Norton Scott, was so wonderful and so passionate about the work they were doing to save Goldens that when she asked me if I might be interested in volunteering too, I immediately said YES! So here I am 10 years later having adopted two Goldens, Cubby Bear (RIP) and Tug, held a variety of volunteer roles including home visits, vet team, fostering, social media coordinator and now, President. 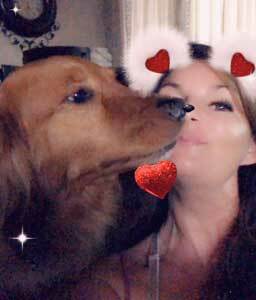 I tell this story because I know how much work goes into keeping an organization the size of RAGofAZ operating so that we are always prepared to rescue any Golden who needs our help, regardless of age or health condition. We have so many fantastic volunteers but it’s never enough; we’re always looking for good folks who are looking to give back. Give back to their community and give back to the breed that brings so many people so much joy. Our recent expansion into International rescue has only increased our need for volunteer help. With this edition of Golden Tales, I’m launching a “Volunteer Spotlight” segment where we will focus on one volunteer, get to know him or her better, understand what they love about volunteering with us and learn about some of their more memorable experiences helping us save Goldens. My hope is that it will inspire more of our readers to raise their hand and join us on our mission! Some roles take a couple hours a month, some a few hours a week. We have a little something for everyone! If you’re interested in learning more, check out the link in our website about volunteering. I’m excited about this journey and look forward to the next two years as President. I hope to get meet as many of you as possible at our events and can’t wait to see the faces of the Goldens we will rescue—those who may not even know they need us…yet. All For the Love of a Golden. The 2109 Cutest Golden Contest is underway! Our adorable contestants are on display here! Why not check out these beauties and vote for your favorites? The winners will be featured in our 2020 Hearts of Gold calendar. This year we're bringing back our "Volunteer Spotlight" section. 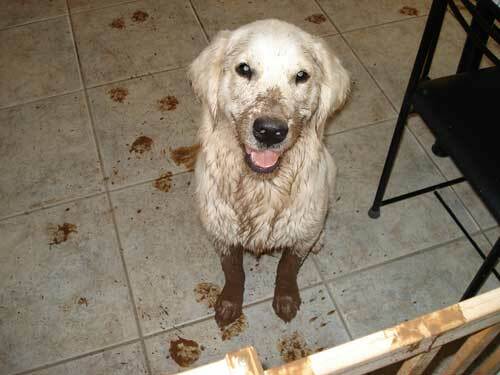 We appreciate each and every volunteer because without them, we could not rescue any Goldens. Our volunteers handle everything from fund raising to home visits to transports and all things in between! It really takes a village to keep our rescue alive and healthy. This quarter we're featuring Dianne Nevius who has been volunteering with us for 10 years! 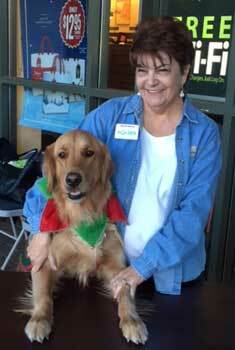 We interviewed Dianne to get a better idea of who she is and why she loves rescuing Goldens with RAGofAZ. 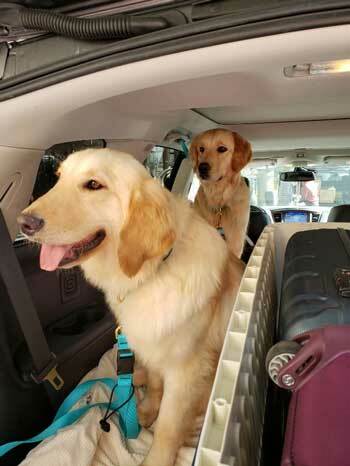 In RAGofAZ's twenty years of rescuing and rehoming goldens, over 3,500 dogs were moved by an extraordinary team of transporters to expectant furever families in the cities, towns, and burbs of Arizona. The dogs came from within the boundaries of the state and a few from El Paso. Then in 2017, RAGofAZ transformed into an international rescue in response to a nationwide campaign to save Goldens from certain death in South Korea, China, Turkey, and Mexico. The procedure of transporting dogs as we knew it changed radically. Over the last year the Vet Care Team has noted some strange cases involving Arizona’s own disease, Valley Fever. In general, everyone living in Arizona inhales the VF spores because they are stirred up by our sometimes impressive winds. 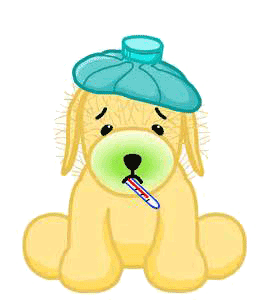 If your immune system fights it off you do not develop the disease. It works the same way in dogs. We had gotten used to the primary source of infection being the lungs because of the fact that the spores enter the body by breathing. Looking for photos from our events? You can find them in several places on our website. There's a tab on the left side of the website home page with a link to the latest event photos. You can find photos of events dating back to 2013 by clicking on the "Photos" tab in the top menu. Photos from the latest nine events are visible on our calendar page, accessible by clicking on the "Events Calendar" tab in the top menu. 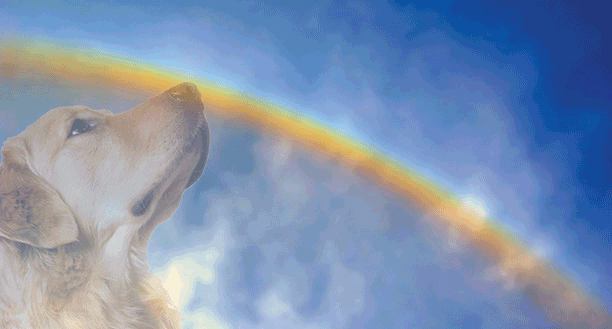 And CLICK HERE to see a remembrance including those Goldens that have passed over the Rainbow Bridge previously.